MOVE IN READY! The Woodbury by award winning Summit Homes. Beautiful 4 bdrm, 2.5 bath 2 story. Over-sized daylight home-site w/ Deck & Cover. Open concept living with spacious great room & adjacent dining area. Chef style kitchen with large prep island w/ seating, huge WI pantry. 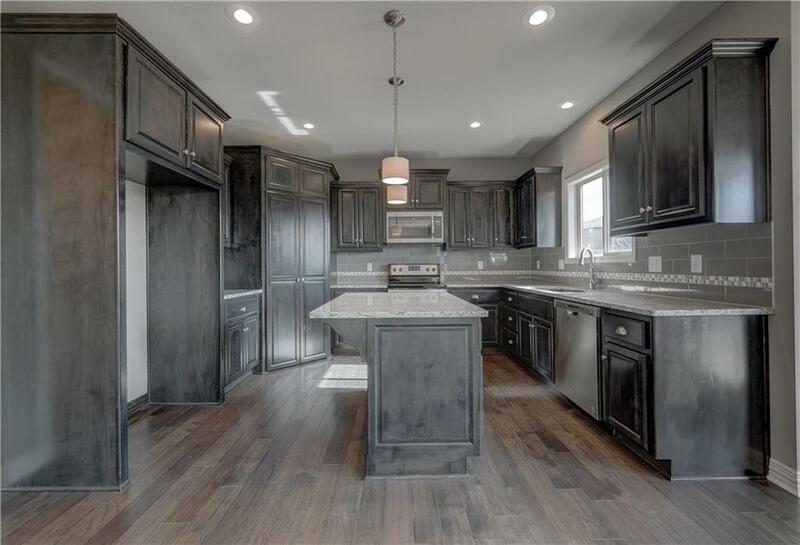 Granite tops throughout, s/s appliances, gas f/p & Mudroom. Stunning master suite separate tub & walk-in shower w/ decorative tile walls & seating bench, his/hers sinks, large walk-in closet. Laundry on bedroom level. Must see home. Directions: 49 S to 58 Hwy, left on 58, right on S Fox Ridge Dr, left on Johnson Dr, left on Westglen Dr, right on Belinder Drive, proceed up the hill midway home on the right.